After obtaining his undergraduate degree in Biology, chief guide and owner, Ken Hastings wasted little time in putting that knowledge to use. Following a brief stint here in New Hampshire he secured a job in Jackson Hole, Wyoming where he spent the next four years as the assistant manager of Rivermeadows' Crescent 'H' ranch, a guest ranch and fisheries preserve. Nestled at the base of the Tetons with some 3500 acres and four private spring creeks loaded with big cutthroat trout, one couldn't have asked for a more beautiful place to ply his trade. A few of Ken's duties while there ranged from making stream improvements on the spring creeks to guiding fishermen on such legendary rivers as the Snake, Henry's Fork, Madison, South Fork (of the Snake)and Yellowstone. Ken also gave fly casting and fly tying demonstrations to the guests. Unfortunately a fire and development have worked in tandom to remove this magnificent resort from existence. The memories and experience gained here gave Ken a foundation to build on back here in New Hampshire. 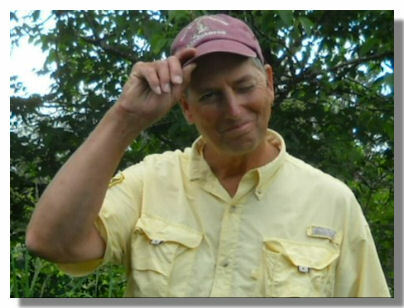 Having taught Biology and Earth Science at Colebrook Academy for 34 years Ken has an intimate knowledge of the ecology and hydrology for these two mighty New Hampshire rivers. 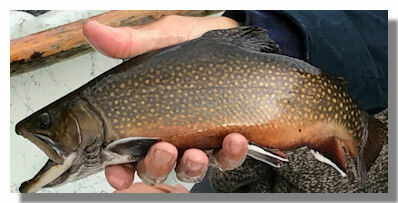 At times, guiding fishermen on the headwaters of the Connecticut and Androscoggin rivers, seems only to have been an extension of the same for Mr. Hastings. Ken is now retired from teaching allowing him to devote full time to guiding fishermen during the season. In his 'spare time', and during the off season, Ken serves as an appointee to the Connecticut River Joint Commissions and at the same time serves as a local representative to the 'Headwaters' sub-committee of the same to provide local input. These are both advisory bodies that makes recommendationsto the various agencies regarding permits and the general welfare of the Connecticut River. During the winter of 2009 Mr. Hastings was honored by NH senate president Sylvia Larsen with an appointment to the Connecticut Lakes Headwaters Committee which is another advisory body working to protect and conserve the rivers source. Ken continues to sit on this committee today. 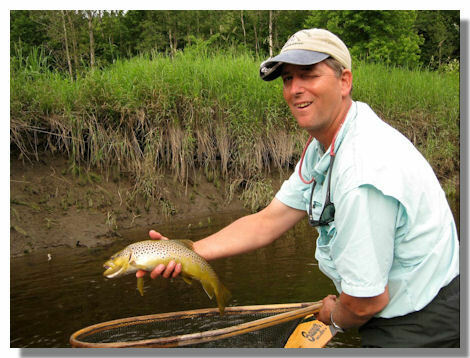 Earlier in his career, Ken was recruited by Region I fisheries biologists and members of the Fish & Game Commision, to be part of a team developing an 'Upper Connecticut River Fisheries Management Plan'. These efforts towards protecting the river saw him receive the NH Department of Environmental Service's 'River Steward of the Year' in November of 2000. With his return to northern New Hampshire in 1982 Ken introduced the art of drift boat fishing to the upper Connecticut and Androscoggin rivers and thirty five years later his oars continue to ply these pristine and mighty rivers. 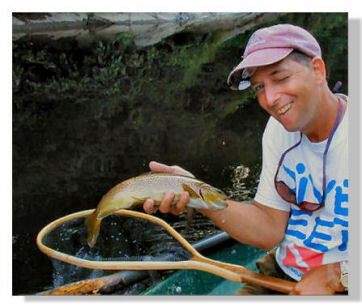 From his time on both of these mighty rivers Ken has accumulated knowledge and experience that no other fly fishing guide in New Hampshire's Great North Woods can hope to achieve. With his wife Lori and their three sons, Ken makes his home on the banks of the Connecticut River. Living on the banks of the Connecticut river allows him a glimpse of the river’s timeless beauty and wildlife that use the river corridor during their migrations. This winter numerous deer, a female bald eagle, and a bobcat have moved through our backyard. Not to mention the fish which rise out the back door. 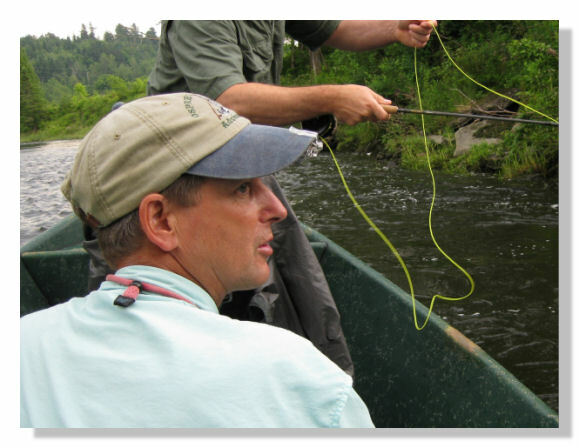 During the winter months Ken gives presentations to groups throughout New England about fly fishing many of this countries finest rivers along with the Connecticut and the Androscoggin. If your club or organization has the need for a presenter to speak we would be pleased to do. We can be contacted either by e-mail or phone at ospreynh@gmail.com or (603)922-3800. Length and topic of the presentation can be modified to suit individual requests.